Do you shop on Etsy? I recently purchased a few things that are totally worth sharing! 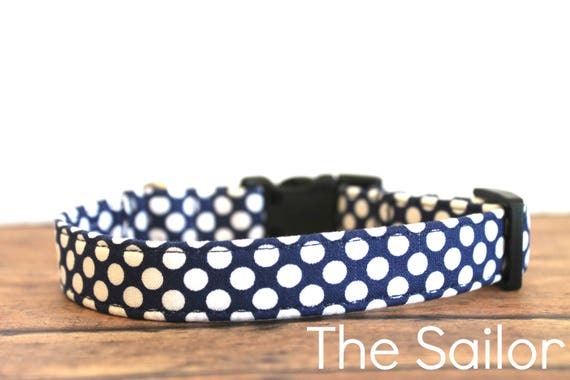 First, I bought this adorable dog collar for Boo, our 2 year old lab/beagle mix. It’s from the seller The Perky Pup. This is actually the 2nd collar we have purchased from this seller; the first was a Christmas-y one that I also loved.. But the red plaid had to go for summer, right? I looked around at various big box stores and could not find anything cute so I decided to check back with The Perky Pup and I loved so many of the prints. But decided on the boats..
He’s so cute, don’t you think? Ordering is super easy. Just measure your pet’s neck (I used a piece of yarn) and determine what size you need. The collar is fabric but washable. Don’t let that scare you. Boo is a messy pup — I washed his Christmas collar in the washing machine, air dried it, and it’s good as new for next year. 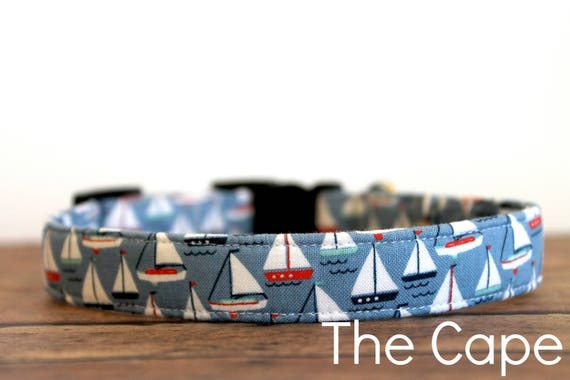 The Perky Pup’s collars are handmade and the seller is sweet — she promptly answered my questions and shipping was fast too. Since Boo got a new collar, it was time to upgrade his tags. He had a personalized tag that a friend made but sadly we lost it so it was time to fix that in case Boo escapes which he loves to do, or maybe it’s the little people who live in my house who love to leave the door open? Anyhow, it seems inevitable that Boo will escape again, some how. He can run quick, people! I ordered this tag from the seller The Wooden Willow. And now if Boo does “escape” there’s a way for someone to know his name and phone number without bothering to locate his chip. Just a little bigger than a quarter. This seller had several other cute options and a variety of finishes. I went with the copper finish and I love it! Now enough about Boo — I bought something for me too! I found these summer prints for a grouping of frames on my wall. I have 6, 11×14 prints that I switch out seasonally — fall, winter, and spring/summer. I purchased the original prints from a local photographer years ago and I still love them but this summer, I wanted some images of the ocean to soothe my sea-loving soul. I found these prints from this seller semi sweet studios on Etsy and knew that these would be perfect! The link above is the exact set that I purchased (in size 11×14). This seller was also great to work with — I had a few questions which she promptly answered and later, we discovered that she grew up in a neighboring town. Love moments like that! In person, these images are more amazing! A couple of times I have found myself sitting on our stairs and staring. 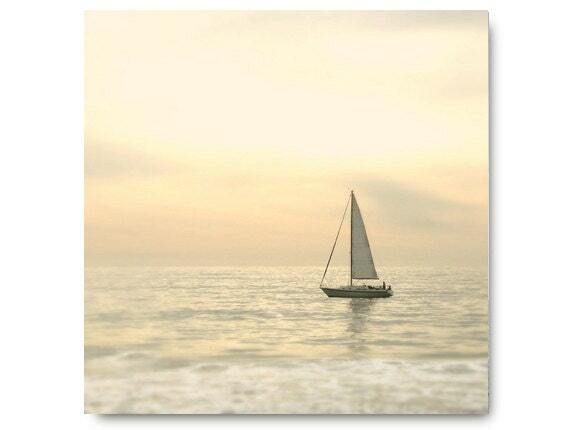 Ocean dreaming. Soul searching. This display is the first thing you see when you enter our home because it’s on the wall to the right just past our foyer. I know it might seem like a lot of work to switch out the prints 3 times a year, but it’s actually quite simple. I keep the prints inside the frames so it’s just a matter of taking the frames off the walls, switching around the prints, giving a quick clean to the dust that has gathered (yuck! ), and hanging them back up again. Easy-peasy. These were my winter prints.. I think they really represent the beauty of winter, beyond just snowscapes. I especially like the rusty truck image and the frozen feathers. 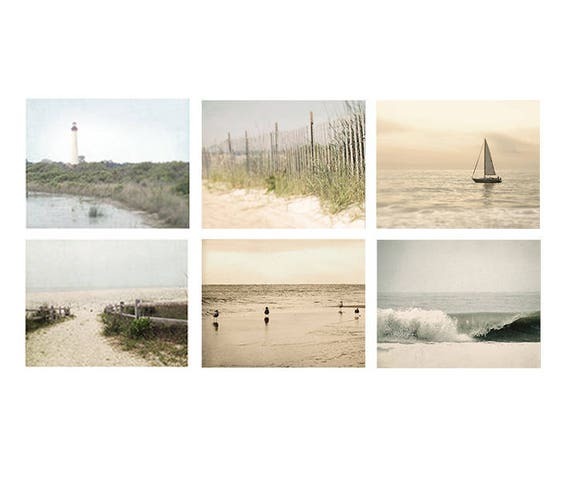 But now these dreamy, beachy prints are up and I love them. But until that magical moment happens, you can find me on my stairs, staring at this beautiful print. That is, until one of those little people needs me and breaks the spell or I’m running at the front door at a breakneck speed trying to catch Boo. Yep. That’s my reality and I guess I wouldn’t have it any other way. 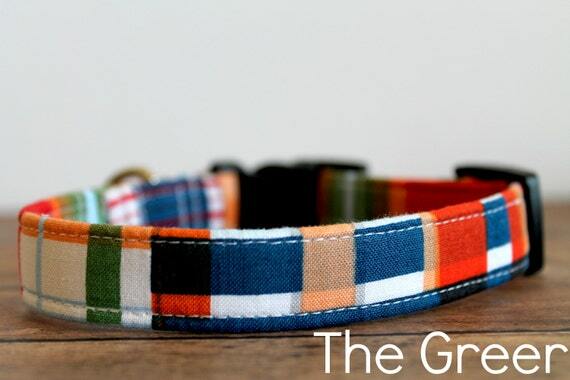 That pup sure is cute, and he deserves a snazzy collar. It’s like it was designed for him. Those prints are perfect as well. Great shopping. I love Etsy.